Engine serviced annually by marine engineer. Starboard berth has owner made infill and foam. 10% discount on sailing courses! The Westerly Pageant comes from the long line of well known and regarded Westerly boats. Solid, seaworthy cruisers, with intelligent accommodation from the cockpit to the forecabin. 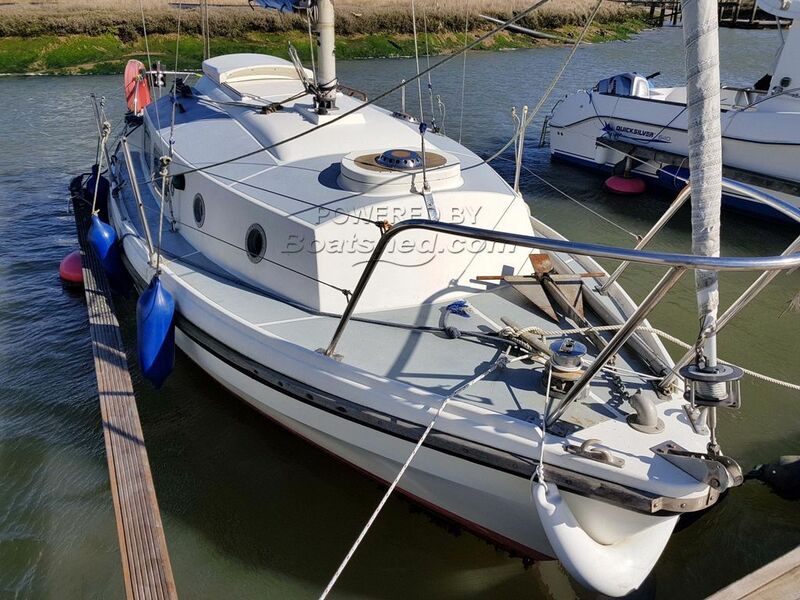 This version has a bilge keel profile and so in addition to coastal sailing, has the capacity to explore estuaries and inland waterways and rivers. This boat is in commission and ready to sail for the season and with a few small touches from a new owner, looks ready for many more hours of pleasant time afloat, be that single handed or family groups. Either relaxing on a mooring or making passage, this boat represents seaworthy, comfortable, pocket cruising. This Westerly Pageant has been personally photographed and viewed by Chris Markham of Boatshed Essex. Click here for contact details.